Let’s face it: keyword research is time-consuming. When you’re running a small business or a startup, your time is precious — you don’t want to spend all day in Google sheets calculating keyword difficulties. Here are six quick and dirty keyword research hacks to help save you time. Use them to structure your strategy and get more out of your SEO efforts. Competitor keyword analysis is great because it benefits both your keyword research and your business strategy. It’s a tried and tested method for improving SEO results. Your competitors are likely to have a gold mine of content on their websites. Start with a list of your closest competitors and pull out their category and sub-category pages. This is an ideal tactic to use if you’ve acquired a small tech business and want to quickly build up its rankings. For example, McdodoTech is a brand that specializes in cell phone accessories. You can see from the figures published on Exchange, that it’s got plenty of social followers and is generating a lot of revenue. However, while it uses user-generated content (UGC) to get in some of its industry keywords, McdodoTech has no blog (if your small business doesn’t have a blog then fix that, NOW). 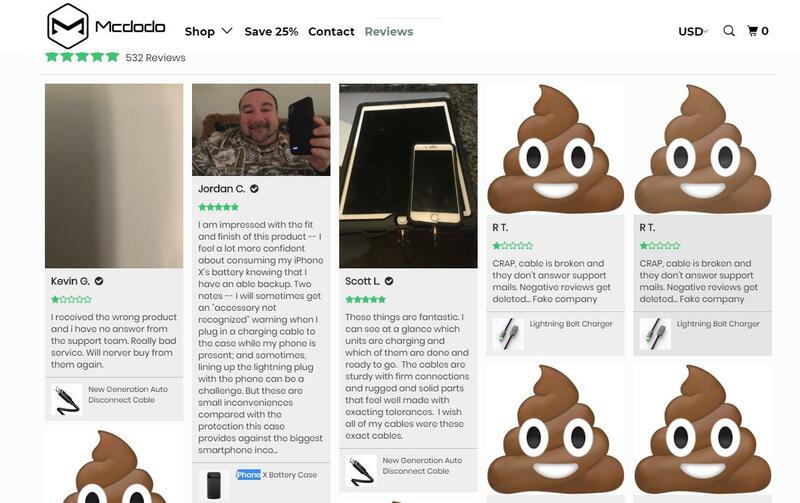 A quick and dirty hack to drive up the traffic for a small business like this would be to add a blog, then write posts on each of the topics covered in Walmart’s Cell Phone category. Simple. Then, to mine even deeper, you can go on to the next quick and dirty tip. Many SEO experts have detailed the benefits of using Google’s advanced search operators. They offer value for the time-pressured researcher but they’re not well publicized. What are they? They’re a range of snippets you can add to your normal Google searches. This lets you filter the results before they appear. Imagine if you could tell Google you only want to return searches that include the word ‘pizza’ in the URL. This is all possible using these unique operators. 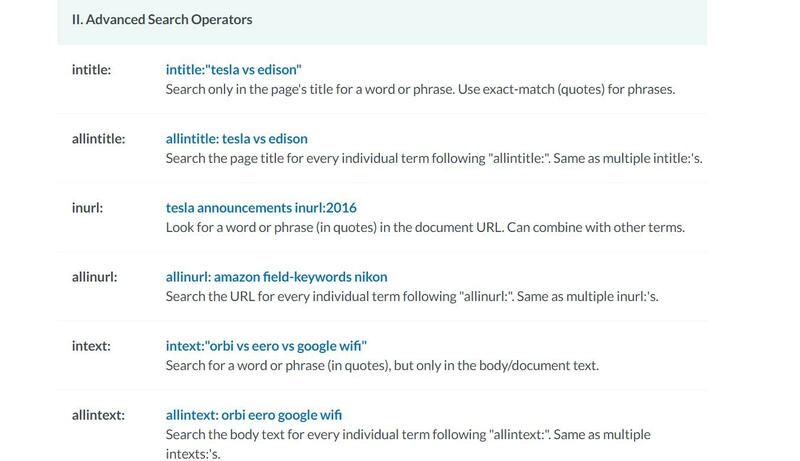 By using these operators to delve into your competitor’s sites, you can very quickly build a list of great, relevant keywords. This tip is another well-documented technique for generating ideas quickly. When searching for content, Google presents you with a dropdown of suggested searches. These range from the helpful to the ridiculous, but can also be a great source of keywords. One of the key tips for keyword research is identifying questions you can answer. 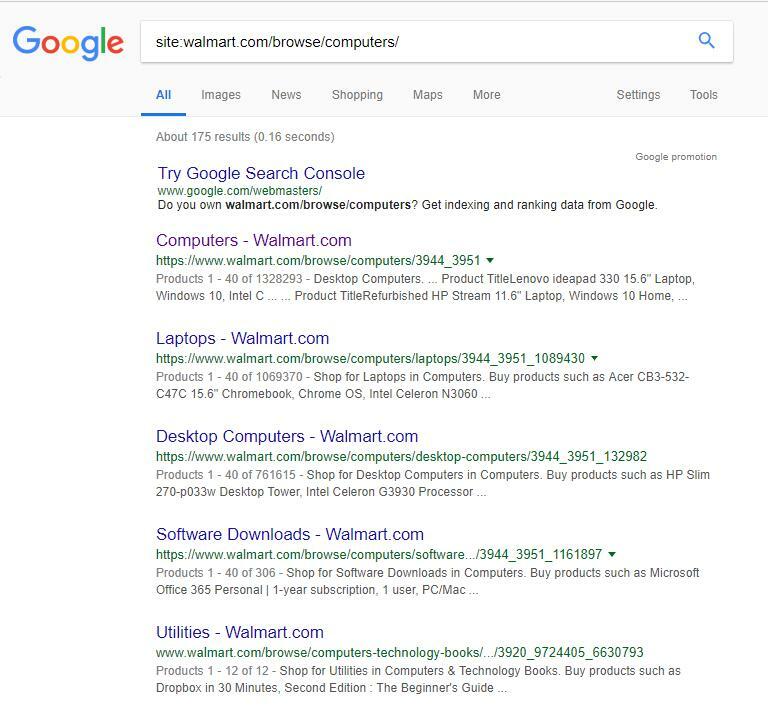 Google is using featured snippets to provide answers to user’s questions in SERPs. This means your customers don’t need to actually click on your website link. In fact, if a featured snippet is present, it can take up to 10% of traffic from the first result on Google. This creates a phantom top spot. This allows a website take rank top in a SERP, without needing SEO to compete against sites like Amazon. You only need to provide an answer to a user’s question. Use the Google Suggestion function to provide answers questions your customers have. Try starting with ‘how to’ or ‘how much is’ and see what questions your customers have asked. Search Engine Journal recommends adding the ‘near’ parameter to the end of the URL. By including this text: “&near=cityname” at the end of any URL, it forces the search results to return for that city. This is a great way to simulate the searches that customers in other towns and cities would see and allows you to pull out some great keywords. Google Keyword Planner – Useful to get a quick idea of how many people search for your keywords every month. You can enter multiple keywords at once and the tool will provide you with a value range for each. It won’t give you exact figures but they should be enough to provide a general idea of search volume. Answer the Public – Remember earlier we talked about Google’s featured snippets? Well, this is a great, visually interesting tool that will generate a whole map of questions related to a single keyword. Google Trends – Another great tool from Google that shows you the change in search traffic for your keywords over a period of time. Moz Keyword Explorer – A paid tool but a good one. Provides more in-depth data regarding search volumes, alternative suggestions and more. It requires a subscription to their professional tools but will provide access to a range of other useful tools, including Open Site Explorer, a nifty online way to check a competitor’s link profile. Many people would think that Google and other search engines are your main source of keywords. But social media is also a valuable platform for keyword data mining. Why? Because you have thousands of users talking about topics and asking questions. 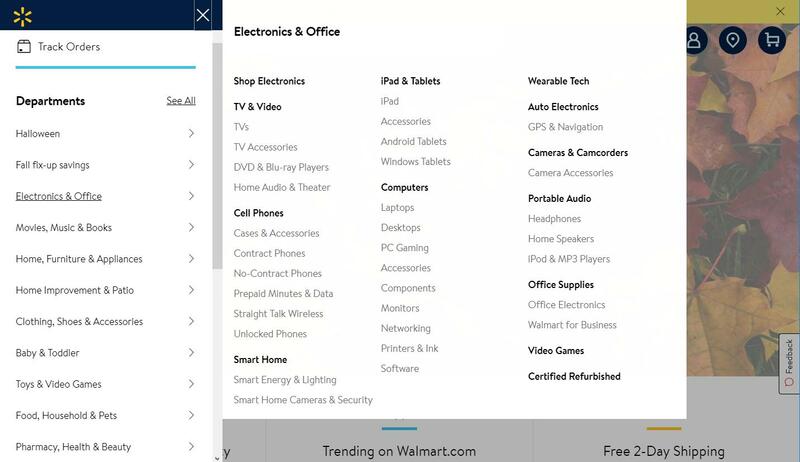 Search via hashtags and scan competitor accounts for discussion topics. You should also search trends and even questions you can answer. 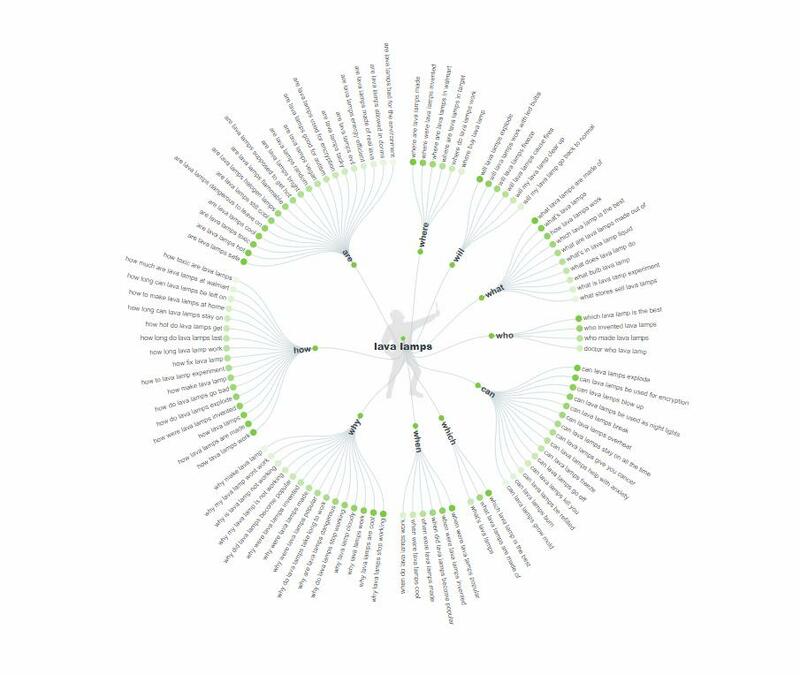 Picking out the most used keywords means you’ll be creating content for topics your target audience is talking about. We hope these quick and dirty keyword research hacks will help you get the edge against your competitors. As a small business with limited time, any quick win that nudges you forward is valuable. Each tactic takes no more than 10 minutes to complete and will provide you with a list of keywords that you can start to build content around for your site. You may even find yourself in a featured snippet on Google. Victoria Greene is a branding consultant and freelance writer. 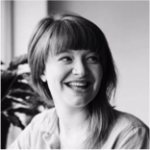 On her blog, Victoria Ecommerce, she shares tips on how to create a successful business using ecommerce & content marketing.